I’ve been thinking about this for the last year and I sincerely no longer believe we are getting a 707 hp Jeep Grand Cherokee this generation. I’m convinced the “Trackhawk” is going to use a detuned Hellcat engine similar to the Ram Rebel TRX Concept. It never made sense to me to have a straight line car named Trackhawk. It would also be a waste of a nomenclature if no other Jeep would ever have the name. I can see street focused Jeeps being Trackhawks and off-road focused Jeeps being Trailhawks. 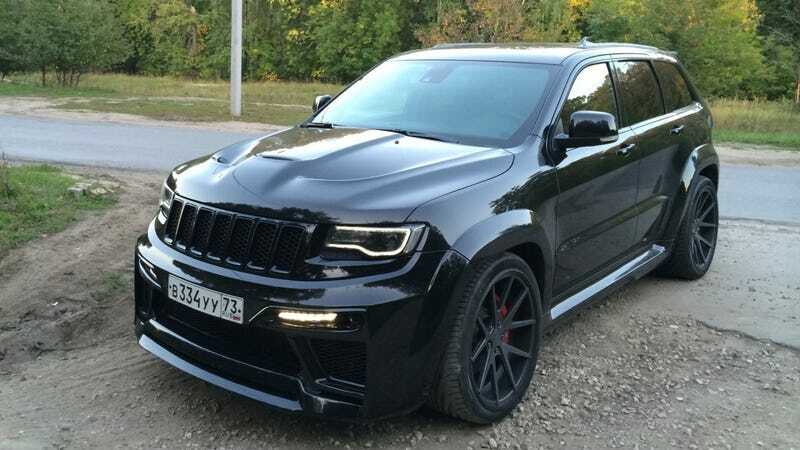 Im thinking that the same supercharged 6.2L V8 out of the Helltwins will be down rated to around 575 hp (but making closer to 620 hp) and transform the Grand Cherokee into a full on X5M/Cayenne Turbo S fighter again. This would also give Jeep an engine for the Grand Wagoneer that competes with the Range Rover. It also fills the gap between the 475/485 hp 6.4L and the 707 hp 6.2L. If the SRT name were being dropped from the Jeep brand and replaced with the Trackhawk banner, I’d understand that course of product planning. We would have something like a 475 hp, 6.4L Jeep Grand Cherokee Trackhawk (formerly known as the JGC SRT) and this “Halfcat” equipped Grand Cherokee Trackhawk Superbird. Then when the JGC switches to the Giulia platform like everything else, then we will see the full Hellcat and maybe a Demon variant because I’m a strong believer in midsize, 2-row SUVs being the perfect muscle car/sport truck mix that deserves all the powertrains you can chuck into them.